Your customers need their fish, meats, produce and wines to be the best quality. It’s up to you to deliver. Our integrated solutions allow you to step back and have a system designed to meet your requirements. 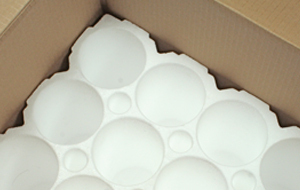 With expanded polystyrene as the base, we make the components to match your requirements. Precious Cargo Shipper has the option of being kitted and ready to go! A cost-effective alternative for shipping bottles. Click here to download a copy of the Beaver Plastics Precious Cargo brochure. 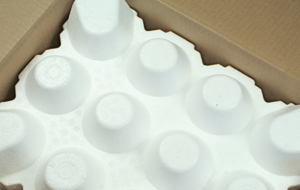 Beaver Plastics Precious Cargo shippers maintain quality during handling and shipping because they are made from expanded polystyrene (EPS). The characteristics of this recyclable plastic make it ideal for shipping your perishable goods across the street or around the world. Click here to download a copy of the Beaver Plastics Integrated Solutions in Food Packaging brochure. Strong and rigid. The bottom of the box will not sag. The packaging absorbs vibrations, reducing bounce. Water resistant. 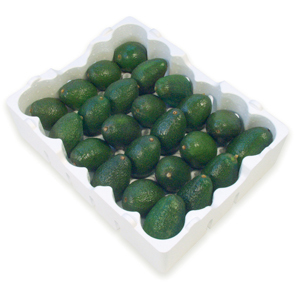 Produce can be packaged damp, hydro cooled or placed in high-humidity storage with no adverse effects on the box. Insulated. 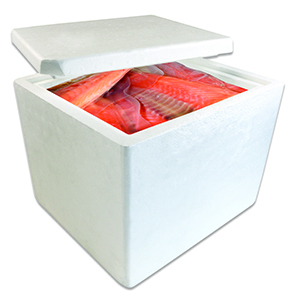 EPS is a superior insulator, protecting your frozen product or fresh produce. Customizable. Molded to match your required shape. Sealed Surface Technology® resists water penetration. Cost-effective system for growers and shippers.